In mid of January Auriga culminates at about 22 h local time (see lines). For observers at geographic latitude 40o north it goes right through the zenith. 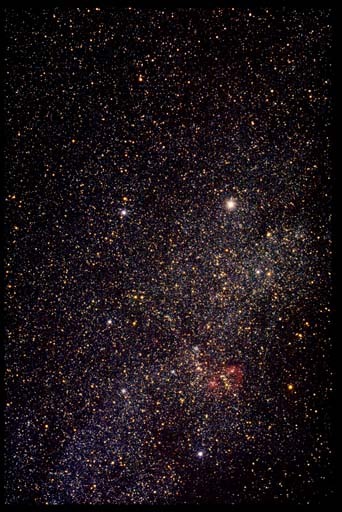 The position is in the galactic plane and so it offers a wealth of interesting objects like Open Star Clusters and Emission Nebulae. The brightest star is Capella (alpha Aurigae, 0.1 mag), visible in the upper right from the center.